Earlier this year I posted a blog that included a recipe for lemon bars. This has become my most popular blog to date! Apparently I'm not the only lemon lover so I thought I'd share another lemon recipe. Unlike the lemon bars, this one doesn't require any cooking. Although lemon icebox and lemon meringue pies are good, I prefer a lemon pie with a creamy consistency that doesn't skimp on flavor. 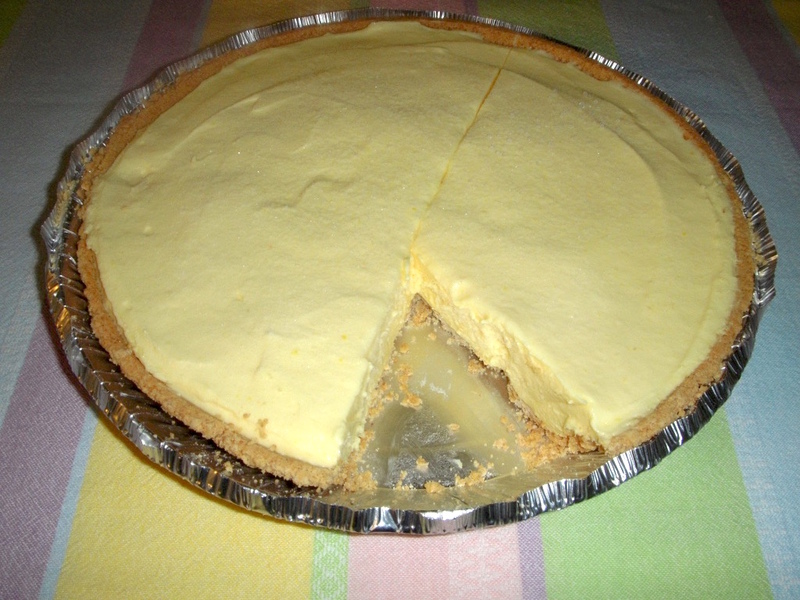 It took a few years, but I found exactly what I was looking for when I came across the recipe for Lemonade Pie. Unlike a lot of no bake pies, this pie gets its creaminess not from Cool Whip, but from cream cheese. The mixed up pie filling. Normally when I cook, I try to substitute healthier alternatives whenever possible. You can do that with this recipe, but I don't recommend it. The pie will not set up properly and the pieces won't retain their shape when you use nonfat, low-fat or a combination of these ingredients. It's the fat in the ingredients that makes the pie firm. If appearance doesn't bother you and you want to make a rich dessert a little healthier, substitute lighter versions of the evaporated milk, pudding and cream cheese. texture to the pie pictured at the top of the blog. A lot of lemon pies derive their flavor from lemon juice or lemon zest. Not this recipe. 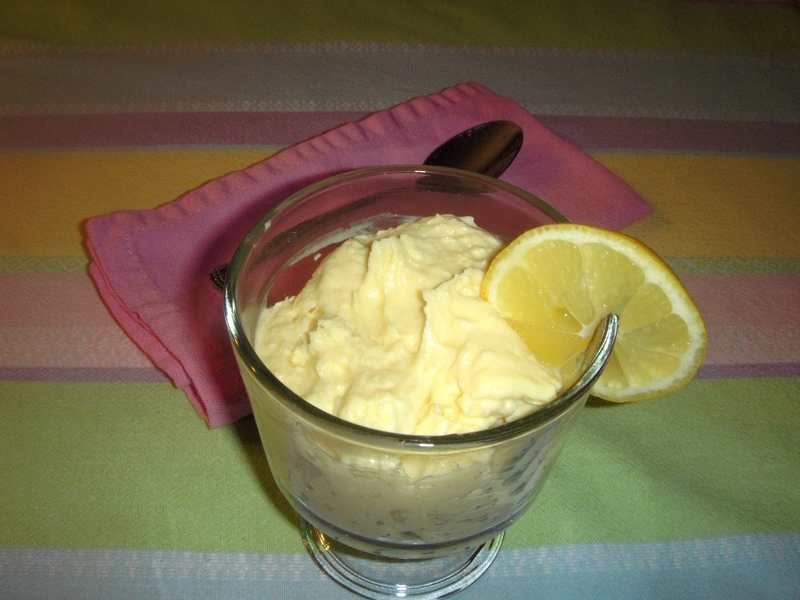 The lemon flavor comes from a can of frozen lemonade concentrate and a package of instant lemon pudding. If you want a firm pie, don't use sugar-free pudding. It doesn't have the same consistency and won't set up like regular pudding. Once the filling is mixed up, pour it into a large graham cracker pie crust. In my opinion, there's too much filling for the crust. I only use enough to fill the pan to the top of the crust. You can put the leftover filling in individual graham cracker crusts or serve it as a pudding. I put the leftover filling in dessert bowls and serve it as a prelude to the next night's dessert. It's still warm enough in my part of the country to enjoy this cool creamy pie. If it's too cool where you live, file the recipe away for next year so you can have your lemonade and eat it too! Whisk together the evaporated milk and pudding mix in a bowl 2 minutes or until thickened. Beat cream cheese at medium speed with an electric mixer until fluffy. Add lemonade concentrate, beating until blended. Add pudding mixture and beat until blended. Pour into pie crust. Freeze 4 hours or until firm; transfer to refrigerator. Garnish, if desired. Store leftovers covered in the refrigerator. Thanks, Cathy. I hope you'll enjoy the pie. It's my favorite lemon pie recipe ever!